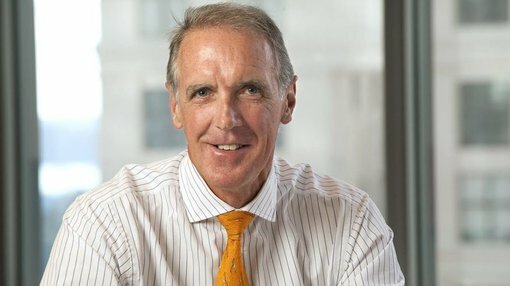 From 2005 to 2015, Stephen Knight was CEO of NSW Treasury Corporation, the central borrowing and investment management agency for NSW. Having joined TCorp in 1996 with 16 years’ in private sector banking, Stephen saw TCorp through a critical decade which included the financial crisis – leaving it with a healthy balance sheet of around $75 billion, and a further $70 billion of funds under management. Stephen now serves on a number of boards and committees including the Australian Office of Financial Management and the Sydney Financial Forum, with his most recent appointment as non-executive director on the board of OneVue Group. We recently tracked him down for a chat. FF: Thanks for taking the time to chat with us, Steve. Last year you joined the board of OneVue Group, what attracted you to the company? SK: OneVue is a really interesting company. As a fintech that disrupts across the superannuation, platform and unit registry space, it has grown considerably over recent years. The financial services industry is undergoing significant change and will continue to do so – I believe OneVue is nimble and innovative and well placed to succeed. Superannuation and saving for retirement is a big area of need in Australia in terms of education. It’s a massive issue for people individually and a massive issue for governments as well. You’ve got this confluence of factors, which are all evident on their own: an aging population and lower prospective returns. We’re going to live longer, with a greater proportion of our life at the back end when we’re not earning much or any income. FF: It is a major area of need in terms of general education – what are some other Super-related factors Australians should be aware of? SK: There’s more that needs to be done on this, but a key area is the expectation of what you can earn from investments throughout your retirement. We’ve come off the back of three decades of high nominal returns from fixed income, equities, property and infrastructure assets. People are now talking about a lower return environment; low inflation, low interest rates around the world. That hasn’t really hit people yet in terms of what that means for retirement, as many people are still looking in the rear view mirror to forecast prospective returns. As recently as five or six years ago, in the aftermath of the GFC, if you were a conservative saver you could have term deposits and still be earning 5-6% or more. Without taking any real risk you could still earn that sort of yield. Whereas now, the default rate of investment on a risk free asset class – government bonds or term deposits – is more like 2 or 2.5%. So that’s a really challenging area in terms of people’s expectations. That’s an area which needs more work, and more education in terms of how people can effectively plan to invest for retirement. And people approaching retirement should logically “de-risk” some of their investments – they can’t afford to take the periodic “hit” in equity markets as well as they could when they were working and accumulating – so this is a really big issue. SK: It’s not just the property market, you could generally say that about asset price inflation. Property market is the ‘poster child’ for that, but there’s been this period they’ve called The Great Moderation fuelled by credit growth and other factors. As interest rates come back to lower levels more in line with long term historical averages, people still get the leverage kicker in property and infrastructure assets. So those areas have done well – but, everything has to normalise at some point. They’ll be looking back in probably 100 years’ time when they’re studying at business school – or whatever the business school equivalent is going to be in 100 years’ time – and look at the last 30-40 years as being a very extraordinary period. We grew up with it so we think it’s normal. It’s not. FF: Do you think that extraordinary level of return has had a correlation with government spending as well? Have we been in a golden era there too? SK: It’s tough to say. You think about what fuelled the period we’ve been in, and government policy certainly had a significant role to play, but there are several factors. A big driver of any economic outcome is population. Then there’s the government policies – the post WW2 baby boom was the big part of the story, and it fuelled the period of economic growth in western economies. You then had a raft of government policies dealing with that. There were some very expansionary government spending policies in the 1970s which saw inflation get out of control. That gave you very high interest rates and an increase in prices overall. And there’s the flow-on effects on consumer prices and wages. We then spent the better part of two decades getting that high inflation out of our economies, and government policy was pretty successful in doing that. But when you get things like the financial crisis – the problem with the crisis is it resulted in another wave of government spending effectively to put money back into the system to prevent economic disaster. So we’ve still got the after effects of high spending and stimulus policies, which is difficult to rein in. It’s finding that sweet spot, it’s always a challenge for governments. Particularly with an aging population meaning a greater call on welfare programs, and greater investment in health care; that’s got to be paid for by somebody. FF: It does seem that we’re entering a period where, sooner or later, we’ll be facing an enormous bill and someone will need to pay it. SK: Yes, and that’s often been the case. Governments in the past have run up large debts and then have gone through cycles of paring it back and running it up again. But the size of the debt now is significantly bigger, so the job of getting it back under control is tougher. It’s also happening at a time when you’ve got this big wave of baby boomers moving towards some form of retirement. The people going from being contributors to the government’s purse as taxpayers, to potentially a drain if they’re drawing a pension. Which is why the government is so keen to have superannuation do as much as it can; to make people self-supporting in retirement. FF: Changing tack a bit now, what are some golden rules of investing? SK: Firstly, diversify. It seems obvious but people often forget. Don’t have all your eggs in one basket (no matter how attractive that basket looks). Second, don’t chase fads. By the time everyone is talking about it (i.e. the “cab driver” syndrome), generally the smart investors are looking for the exit. Third, don’t invest in what you don’t understand. This is closely related to the previous point. My best example of this was in the 5 years prior to the GFC, I had banks constantly knocking on my door trying to sell us CDOs and other complex debt instruments. They were the “latest thing”. I said we would only consider investing if our own credit analysts (who were very smart people) could unpack the products and understand the risk. They could not, so we never invested. As a result Treasury Corp, which manages tens of billions of dollars in investments, suffered no credit losses in the GFC. The crisis proved that nobody understood the risk in those products, but many invested regardless and paid a heavy price. FF: If you were forming an investment portfolio from scratch today, what would be some key considerations? SK: Starting an investment portfolio from scratch today is tough, as many markets look pretty fully priced! I’d look for opportunities that provide reliable income stream and are ideally insulated against big moves in capital value. For example, in property look for investments backed by strong lease or rental streams, rather than the speculative end. It’s a fascinating time in terms of new technologies, and there are some game-changing technology shifts impacting every sector (e.g. Tesla). The trick is to pick the great companies from the ones who aren’t going to make it – nothing new in that. The tech boom of the late 1990s gave birth to some truly great companies that still dominate today. But for every winner there were several duds. In the defensive end of the portfolio, avoid long duration bonds – as yields are more likely to rise than fall from already low levels – and anything with equity risk dressed up as fixed income (where you don’t get properly compensated for the risk). FF: Lastly, are there any shortcuts for making these decisions? Warren Buffett, for example, advocates reading widely and for multiple hours every day. Is that what’s required? SK: Sadly, there are no silver bullets or shortcuts in investment for picking the winners from the duds (if there were, everyone would be a billionaire). Warren Buffett is 100% right. An investor just has to do their homework to understand firstly the macro trends, which will help inform a view on which industries or sectors are facing headwinds or tailwinds, and secondly, within any sector, which are the good companies and which are the bad, which requires a lot of work. An investor can either do that work themselves or (as most do) rely on broker analysis. Oh, and luck and timing are pretty important – but there’s no formula for those! FF: Thanks for your time, Steve.